CALGARY, ALBERTA—(Marketwired – Dec 18, 2014) – The Canadian Association of Petroleum Producers (CAPP) today called upon the New Brunswick government to hold off its proposed moratorium on hydraulic fracturing and to work with industry and communities to keep the door open for future natural gas development in the province. “The natural gas industry shares Premier Gallant's values and commitment for the safe, responsible and sustainable development of New Brunswick's natural resources,” said CAPP president Tim McMillan. McMillan said industry believes it can work with the New Brunswick government to achieve the province's five conditions and legislation is therefore unnecessary. “New Brunswickers have worked hard and invested in their province to develop this industry with the trusted oversight of the province to ensure the health and safety of communities,” McMillan said. Canada is recognized as a leader in developing natural gas from shale. Hydraulic fracturing has been used safely for more than 60 years in Western Canada, according to regulators in British Columbia, Alberta and Saskatchewan. This exemplary track record is the result of comprehensive government regulations and industry operating practices designed to ensure public safety and the protection of the environment. “We encourage the government of New Brunswick to learn from experiences in other jurisdictions that are benefitting from hydraulic fracturing and help create at home the same economic opportunities natural gas development has created across Canada,” McMillan said. HALF MOON BAY, CA—(Marketwired – Dec 18, 2014) – The Ritz–Carlton, Half Moon Bay welcomes guests to stay a little longer and enjoy the beautiful winter days and cool ocean breezes. The resort's Intrigue Package extends the visit with a complimentary night at Northern California's only luxury coastal resort. The Intrigue Package includes a complimentary third night when booking three nights in a coastal view guestroom. The Half Moon Bay vacation package also features daily breakfast for two in Navio, overnight valet parking, and daily resort fee. The package starts at $675 per night. While at the beach resort, guests can partake in stunning coastline diversions like a Segway® tour where they can view an assortment of wildlife, native plants and shore birds along the beautiful Half Moon Bay Coastal Trail. Guests can also enjoy the Signature Drive, Half Moon Bay's official mapped scenic automobile route that navigates five distinctly different micro–regions including Historic Main Street, the Pumpkin Region, California's Redwood Forest, the Santa Cruz Mountains and the Pacific Coast. A stay at the resort would not be complete without dinner in Half Moon Bay's famed seafood restaurant, Navio. Navio boasts exceptional seafood dishes and a comfortable California–inspired design. Combing subtle sea flavors with fresh textures and light savory accompaniments, Chef Kevin Tanaka's cuisine highlights approachable flavors that reference the best of coastal dining from all around the world. Golfers can experience the enchantment of Northern California's Scottish links on two championship courses that stretch from pines to cliff at The Golf Links. For total relaxation, The Ritz–Carlton Spa features 16 treatment rooms, co–ed Roman mineral bath and steam room, group exercise classes and gym access. Highlighting the Spa's menu is the famed Half Moon Bay Pumpkin Facial, a luxurious 90–minute treatment that utilizes a pumpkin enzyme mask. For additional information or room reservations at The Ritz–Carlton, Half Moon Bay, contact your travel professional, visit www.ritzcarlton.com/HalfMoonBay or call Ritz–Carlton worldwide reservations at (800) 241–3333. Visit www.experiencehalfmoonbay.com to learn more about the destination. Situated 23 miles southwest of the San Francisco International Airport, The Ritz–Carlton, Half Moon Bay is a 261–room destination spa and golf coastal hotel and the San Francisco Bay Area's only oceanfront resort. Set atop a rugged bluff overlooking 50 miles of pristine California coastline, the timeless oceanfront estate provides guests with a relaxed yet refined experience, whether for a romantic getaway, meeting or special event. The Ritz–Carlton Hotel Company, L.L.C., of Chevy Chase, Md., currently operates 87 hotels in the Americas, Europe, Asia, the Middle East, Africa, and the Caribbean. More than 30 hotel and residential projects are under development around the globe. The Ritz–Carlton is the only service company to have twice earned the prestigious Malcolm Baldrige National Quality Award, an award that originated in 1987. Its purpose is to promote the awareness of quality excellence, recognize quality achievements of companies and publicize successful quality strategies. The Ritz–Carlton Hotel Company won the award in 1992 and 1999. For more information, or reservations, contact a travel professional, call toll free in the U.S. 1–800–241–3333, or visit the company web site at www.ritzcarlton.com. The Ritz–Carlton Hotel Company, L.L.C. is a wholly–owned subsidiary of Marriott International, Inc. (NASDAQ: MAR). CARMEL, IN—(Marketwired – Dec 18, 2014) – KAR Auction Services, Inc. (NYSE: KAR) today announced that its subsidiaries Automotive Finance Corporation (AFC) and AFC Funding Corporation (AFC Funding), have entered into Amendment No. 3 to the Fifth Amended and Restated Receivables Purchase Agreement (the Amendment), by and among AFC, AFC Funding, Fairway Finance Company, LLC (“Fairway Finance”), Chariot Funding LLC (“Chariot Funding”), Deutsche Bank AG, New York Branch (“Deutsche Bank”), BMO Harris Bank N.A. (“BMO”), Fifth Third Bank (“Fifth Third”), JPMorgan Chase Bank, N.A. (“JPMorgan”) and BMO Capital Markets Corp. The Amendment increases AFC Funding's U.S. committed liquidity from $800 million to $950 million. ADESA operates 65 wholesale used vehicle auctions and IAA has 168 salvage vehicle auctions. Both companies offer leading online auction platforms to provide greater access for customers. AFC provides inventory financing and comprehensive business services primarily to independent used vehicle dealers from its 111 locations. Together, KAR's complementary businesses provide support, technology and logistics for the used vehicle industry. For more information, visit karauctionservices.com. Certain statements contained in this release include “forward–looking statements” within the meaning of the Private Securities Litigation Reform Act of 1995 and which are subject to certain risks, trends and uncertainties. In particular, statements made that are not historical facts may be forward–looking statements. Words such as “should,” “may,” “will,” “anticipates,” “expects,” “intends,” “plans,” “believes,” “seeks,” “estimates,” and similar expressions identify forward–looking statements. Such statements are not guarantees of future performance and are subject to risks and uncertainties that could cause actual results to differ materially from the results projected, expressed or implied by these forward–looking statements. Factors that could cause or contribute to such differences include those matters disclosed in the Company's Securities and Exchange Commission filings. The Company does not undertake any obligation to update any forward–looking statements. NEW YORK, NY—(Marketwired – Dec 18, 2014) – Terra Wellington, Wellness and Lifestyle Contributor, shares tips for a winter wellness check–up. Staying well this time of the year can be a real challenge for families with small children. In fact, little children get about eight colds a year. Dry air can lower your resistance to cold viruses, so air humidity can help. Another great option is the saline spray and drops from Little Remedies to help moisturize and flush out children's noses. The product has no side effects, no alcohol, no dyes, and no artificial flavors. It really is something you can feel good about giving to your kids. The holiday season can be stressful, but the key to staying well is sleep, exercise, and getting the right nutrients to fuel your body. When you're low on time, though, closing the gap for those nutrients can be difficult. GNC has a whole–food–based supplement line including a protein powder and bar, and amino and energy formulas in great tasting flavors to help you with filling that gap and giving you the fuel you need. It's called GNC PUREDGE, and it's whole–food based with no unhealthy additives. The line has no artificial additives, colors or sweeteners, no GMO–added ingredients^ and no gluten–added ingredients. If you're on the go, the protein bars with flax and chia are really easy to carry along. If you're looking for a gift idea this season, here's one that the whole family will love. It's called an AeroGarden, and it's an automated indoor garden that you put on your countertop, they even have super small sizes. The best part is you don't even need a green thumb to grow veggies with this. Even in the dead of winter you can quickly have fresh herbs, salad greens, veggies like tomatoes, or fresh flowers, and it grows them 5 times faster than if you grew them in soil because of its 'hydroponic technology.' Growing a garden with your kids could be a great family activity this winter. For more information, visit TerraWellington.com. This release is provided by YourUpdate.TV for whom Terra Wellington is a spokesperson on behalf of the organizations referred. ^These products are tested by an independent third party lab for genetically modified material and test below a 0.9% threshold. AVENTURA, FL—(Marketwired – Dec 18, 2014) – Pets deserve a little pampering too. Which is why the Residence Inn Miami Aventura Mall puts just as much time into catering to your favorite furry companion as it does to its guests. The Florida hotel has hosted all kinds of pets over the years, from dogs and cats to birds, penguins, monkeys, flamingos and sloths. 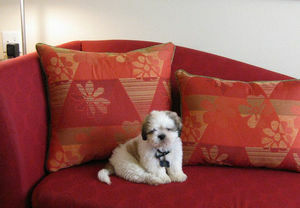 Its care and comfort, combined with a few extra perks, makes it one of Aventura's few pet–friendly hotels to treat both guests and their pets like family. When guests check in, their pets receive a complimentary welcome treat bag with a personalized letter. Pet sitting and training services are available upon request to help keep pets active and busy throughout their visit; ensuring boredom doesn't set in when guests have to be away. The hotel also performs additional cleaning tasks in rooms with pets, adding an extra level of care (additional fees apply). Parks, pet shops and more are all right nearby. The Don Soffer Exercise Trail is located across the street, with bags and receptacles available along the trail for convenience. Waterways Dog Park is just 1.5 miles away, where pets can roam off–leash and sip from doggie water fountains. Guests will also find many of Aventura's pet shops, grooming locations and animal hospitals mere moments away from the property. The hotel's 191 spacious suites each come equipped with full kitchens and guests can choose from a Studio Suite, One Bedroom or Two Bedroom options for up to six people. A complimentary hot breakfast buffet is served daily, and Social Hour is served Monday through Wednesday with other perks like Wi–Fi and parking available onsite. The property is located next to the famous Aventura Mall, minutes from the Village of Gulfstream Park Racing and Sunlife Stadium, the sands of Sunny Isles Beach and Hallandale Beach, plus nearby shopping, dining, and entertainment. The pet fee at the Residence Inn Miami Aventura Mall is a reasonable $100 per suite, per stay, which includes all of these perks, plus the convenience of staying in the heart of one of South Florida's most vibrant settings. This stylish hotel offers convenient access to all of the greater Miami area, and provides an ideal environment for work and play. Fully–equipped kitchens in every suite allow guests to prepare meals on their time. For guests in Aventura to work, they'll appreciate a spacious desk in–room, as well as free Wi–Fi internet throughout the hotel. Guests can maintain a workout routine at our fitness center, or soak in the Florida sun at the outdoor pool. Its convenient location places guests just moments from shopping at Aventura Mall, as well as offering easy access to Aventura Hospital, Memorial Cancer Institute, Florida International University–Biscayne Bay Campus and Johnson & Wales University. NEW YORK, NY—(Marketwired – Dec 18, 2014) – Melissa Gerstein, co–founder of TheMoms.com, shares some tips on how to get your house ready for the holiday season. Address the forgotten room first — the bathroom. It gets as much traffic as any other room, but no one thinks about it. With cold and flu season upon us, it's so important to both clean and disinfect — that's what I like to call a “complete clean.” My must–have is Scrubbing Bubbles®. It removes germs, tough dirt, soap scum, and kills 99.9 percent of viruses — so your bathroom is ready for hosting. While you're on a cleaning streak, think about your laundry room. The Front–Control Top–Load Washer (Model WT1701CV) from LG puts a modern spin on the traditional top–load design by moving the control panel to the front. It features TurboWash®* technology, which saves you 20 minutes on every load, so there's more time for everything else. The EnergyStar® qualified washer features mega–capacity so that means fewer loads which is essential when your home is full of guests this season. Focus on the kitchen, since that is where the cooking magic will happen. This Double–Oven Electric Range (Model LDE3037ST) from LG is key for the holidays. Its Infrared Grill** technology helps get the oven to broil without preheating, which actually cuts over 20 percent off the total cooking time. It also features EasyClean®*** technology so you can clean your oven in just 20 minutes with nothing more than water and the press of the EasyClean button, so important after cooking a big holiday meal. Check on the living room, too. You can transform your gathering with the simple strike of a match. With Pine Mountain's Java–Log, you can feel good about choosing the only firelog made from recycled coffee grounds. Another option for your living room is a YuleLogg. Its crackle sound and cinnamon fragrance will brighten the holidays for your family and friends. For more information, please visit www.themoms.com or www.yourupdate.tv. This release is provided by YourUpdate.tv for whom Melissa Gerstein is a spokesperson on behalf of the organizations referred. SUNNYVALE, CA—(Marketwired – Dec 18, 2014) – AMD (NYSE: AMD) today announced that it will webcast its earnings conference call on Tuesday, January 20, 2015 at 5:30 p.m. EST / 2:30 p.m. PST to discuss the results of its fiscal fourth quarter and fiscal year ended December 27, 2014. All interested parties will have the opportunity to listen to the real–time audio webcast of the teleconference over the Internet through AMD's Web site at ir.amd.com. An archive of the webcast will be available for approximately one year after the conference call. HAMILTON, BERMUDA—(Marketwired – Dec 18, 2014) – Teekay Tankers Ltd. (Teekay Tankers or the Company) (NYSE:TNK) announced today that it plans to offer 20,000,000 shares of Class A common stock of the Company in a public offering. Teekay Tankers expects to grant the underwriters a 30–day option to purchase up to an additional 3,000,000 shares of Class A common stock. Teekay Corporation is also purchasing $20 million of Class A common stock of the Company at the same price per share to the public. The Company expects to use the net offering proceeds and proceeds from Teekay Corporation's investment to partially finance the previously announced acquisition of four modern coated Aframax tankers and one modern uncoated Aframax tanker and for general corporate purposes, which may include funding future vessel acquisitions. Teekay Tankers was formed in December 2007 by Teekay Corporation as part of its strategy to expand its conventional oil tanker business. Teekay Tankers currently owns a fleet of 32 double–hull vessels, including 12 Aframax tankers, 10 Suezmax tankers, seven Long Range 2 (LR2) product tankers, three Medium–Range (MR) product tankers, including five vessels to be acquired in the first quarter of 2015, and has contracted ten time charter–in conventional tankers. Teekay Tankers' vessels are employed through a mix of short– or medium–term fixed–rate time charter contracts and spot tanker market trading. The Company also owns a Very Large Crude Carrier (VLCC) through a 50 percent–owned joint venture. In addition, Teekay Tankers owns a minority interest in Tanker Investments Ltd., which currently owns a fleet of 20 modern tankers, including six vessels to be acquired in the first half of 2015. Teekay Tankers' Class A common stock is listed on the New York Stock Exchange under the symbol “TNK”. The joint book running managers for this offering are Morgan Stanley, BofA Merrill Lynch and Credit Suisse. When available, copies of the prospectus supplement and accompanying base prospectus related to the offering may be obtained from Morgan Stanley, Attn: Prospectus Department, 180 Varick Street, 2nd Floor, New York, NY 10014–4606; BofA Merrill Lynch, 222 Broadway, New York, NY 10038, Attn: Prospectus Department, e–mail: dg.prospectus_requests@baml.com; or Credit Suisse, Attn: Prospectus Department, Eleven Madison Avenue, New York, New York 10010–3629, Tel: (800) 221–1037. The statements in this news release that are not historical facts may be forward–looking statements. These forward–looking statements involve risks and uncertainties that could cause the outcome to be materially different. These risks and uncertainties include, but are not limited to, those discussed in Teekay Tankers' public filings with the SEC. Teekay Tankers undertakes no obligation to revise or update any forward–looking statements unless required to do so under the securities laws. HERNDON, VA—(Marketwired – Dec 18, 2014) – Airbus Group has completed successful flight tests on a fiber–optic, eye–safe, laser–based sensor system that delivers accurate airspeed information in the three axis at low and even negative airspeed. This range of capability is not possible with pitot tubes, the longstanding industry standard for airspeed sensors. The sensor system, developed by Manassas, Virginia–based Optical Air Data Systems (OADS) was installed aboard an Airbus Dauphin 6542 helicopter for the battery of flight tests that were conducted in Marignane, France by Airbus Group's Airbus Helicopters division. With the successful completion of these tests, the stage is now set for Airbus Group to work with OADS for certification, with the ultimate goal being commercialization aboard rotary wing aircraft. “We are very impressed by the system's performance during flight tests and believe this technology can offer significant performance improvements in changing the way we design and operate aircraft in the future due to the accuracy and timeliness of the information,” said Allan McArtor, chairman and CEO of Airbus Group, Inc.
“This technology reflects our corporate commitment to advancing innovative technologies to benefit the aviation industry and represents a dramatic evolution for flight control systems,” he said. The OADS system measures airspeed as low as –20 knots with an accuracy of better than 2 knots over the entire flight envelope compared to standard pitot tubes which are not functional at airspeeds below approximately 30 knots. The system measures the air 50–60 meters away from the aircraft. This factor is especially significant in rotary wing applications, where airspeed measurements may be affected by the downwash effect. Further, the OADS system is not affected by icing — a dangerous condition during which ice can form in the sensor openings of pitot tubes, blocking their ability to accurately measure airspeed. “We are very excited about the successful results of our flight test program and look forward to working with Airbus Group over the coming months to certify this product as the next–generation air data system,” said Phil Rogers, OADS President. Beyond measuring airspeed around an aircraft, the OADS technology can measure wind and turbulence several thousand feet above and below the aircraft, providing pilots the ability to select the most favorable altitudes for flight, resulting in fuel savings and a smoother ride. As a result, Airbus Group executives are also examining the technology's capability in collecting wind data for tactical en route and strategic flight planning over extended periods of time. “We've just scratched the surface in exploring the operational efficiencies that this technology can potentially enable,” said McArtor. Airbus Group is a global leader in aeronautics, space and related services. In 2013, the Group — comprising Airbus, Airbus Defense and Space and Airbus Helicopters — generated revenues of EUR 57.6 billion (restated) and employed a workforce of around 139,000 (restated). Optical Air Data Systems, LLC (OADS), a high technology, award winning Small Business, is a rapid developer of lightweight, rugged Light Detection and Ranging (LIDAR) remote sensing solutions for real world precision measurement applications. OADS has a state of the art design, engineering, manufacturing, as well as field and flight test facility located in Manassas, Virginia. OADS has established itself as a world leader in the development of customized all–fiber optic motion–compensated LIDAR solutions that meet the reliability, maintainability, and survivability requirements essential for aviation sensors. Over its 24–year history, OADS' experienced management and engineering team has launched numerous products including the world's first laser based air data system for rotary and fixed wing aircraft, LIDAR for wind turbine control, hand held laser wind sensors, as well as laser range finders. RESTON, VA—(Marketwired – Dec 18, 2014) – Clarabridge, Inc., the leading provider of Customer Experience Management (CEM) solutions for the world's top brands, today announced its continued leadership and momentum in the CEM industry, pointing to strong growth in revenue, headcount and data volume as it continues its strategic expansion in the space. Clarabridge grew 218% from 2009 to 2013 and is set to grow recurring revenue by over 50% for 2014. This growth has helped the company's ranking of 368 on Deloitte's Technology Fast 500. Clarabridge, which announced Clarabridge Speech and Clarabridge 6.3 this year, also hit a milestone in processing 5 billion documents — the highest data volume processing Clarabridge has performed to date. This was thanks in part to strong customer growth. The software provider acquired more than 50 new clients in 2014 consisting of large enterprise brands. Clarabridge's business and sales growth has also resulted in a headcount of 270 to end the year, compared to a headcount of 158 at the beginning of the year. Clarabridge expanded its headquarters as a result, doubling the square footage. “Our headcount growth has been an explosive 70% over 2014. We're proud of our significant investment in the global expansion of Clarabridge talent and we're confident that our people are our competitive advantage,” Emily Markmann, Senior Vice President, Talent & Culture at Clarabridge said. Clarabridge's chief executive officer, Sid Banerjee, credits the company's substantial growth to the team's growing talent pool, strategic investments and consistently outstanding technology. In terms of personnel, it added Susan Ganeshan as chief marketing officer, Nithi Vivatrat as chief product officer and BroadSoft (NASDAQ: BSFT) CFO Jim Tholey to its Board of Directors, bringing financial, strategic, audit and M&A experience to the company. Clarabridge helps hundreds of the world's leading brands understand and improve their customer experience. Using advanced text analytics, Clarabridge transforms survey, social, voice and all other forms of customer feedback into intelligence used to empower confident, decisive action across the business. The result: happier customers. For more information, visit www.clarabridge.com.